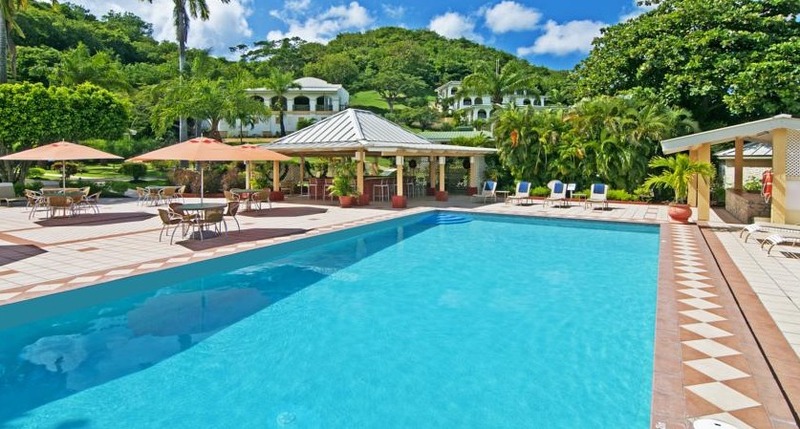 Blue Horizons Garden Resort is a nature-lovers paradise, located within walking distance of Grand Anse Beach in Grenada. Featuring a fresh water swimming pool, children’s playground and a variety of water sports, this Green Globe Certified resort is also a habitat to 27 bird species. There are 32 rooms at Blue Horizons Garden Resort, set in duplex style cottages. Rooms feature modern furnishings, air conditioning, ceiling fan, and flat screen TVs, and private patios. Rooms also have kitchenettes equipped with refrigerator, gas stove, toaster, coffee maker, basic dishware and cookware. Complimentary beach towels and environmentally friendly packaged bath amenities are provided in-room. Guests can dine at La Belle Creole Restaurant & Bar offering continental cuisine with a West Indian flair, or choose to relax at the Aqua Pool Bar. Other onsite amenities include a kid’s playground, pool lounge and library, meeting room, bird watching and a hospitality desk. Blue Horizons Garden Resort is within walking distance of shopping and restaurants. Fly into Maurice Bishop International Airport (GND), formerly known as Point Salines International Airport, in the parish of St. George’s, Grenada. Blue Horizons Garden Resort is located about ten minutes from the airport. Visit Blue Horizons Garden Resort’s website for more information.